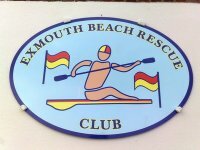 Exmouth Beach Rescue Club: Fancy a dip at Orcombe Point on your sundays? Fancy a dip at Orcombe Point on your sundays? Your clubs had quite a weekend!